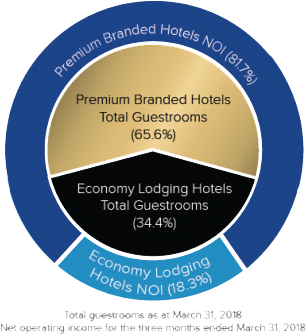 Guided by a disciplined investment strategy, American Hotel Income Properties REIT LP offers investors a unique vehicle to realize sustainable returns and growing value from premium branded, select-service hotels in larger secondary U.S. markets. 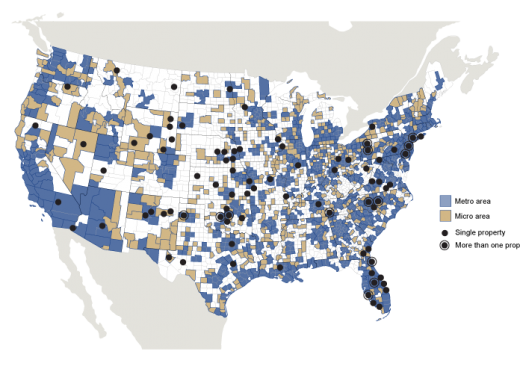 Targeted geographic diversification within the U.S.
Our investment strategy is sharply focused on the select-service category of hotels. With strong consumer demand and broad appeal, this simple and efficient operating model consistently delivers higher margins with lower volatility. Sound investments focus on secondary markets with varied and predictable demand generators, such as established businesses and industry, colleges and universities, government and military presence and tourism attractions, among others. The merits of our investment strategy are exemplified by the quality of assets across American Hotel Income Properties’ portfolio, comprised of 114 hotels in 91 cities and 33 states.